I’m also going through a precious life transition… My transition involves sending my daughter to experience life after finishing high school. I will tell you that, going through all the motions and emotions, wow! It’s inner work lessons for us all! I would like to share with you what I’m learning along the way. I don’t sleep much. I’m worrying… and journaling to make sense of it all. I’m learning to let go – a LOT (especially parenting a teenager), and I’m working on even more clear communication with a college-age young adult. What hit me the most, is that I won’t be in every moment of her life and experiencing it with her. The one thing we can’t change is… change. We have no control over it. Change can happen at any time and there is nothing we can do about it. In fact, change is always occurring. All around us nature teaches us that changes are normal, natural and necessary for growth. Just relax into it and go with the flow, just like the waves coming in and out. We often spend so much of our lives trying to achieve our goals and trying to arrange our lives in the manner we desire. We are trying to hang on to pleasant situations and avoid unpleasant ones. And, just when we think we have things figured out, life throws us for a loop. It hits us with both “good” things and “bad,” some exciting and others exhausting. Your life is a story of transitions. You are always leaving one chapter behind while moving on to the next. The lesson I have learned is that, sometimes, what is good lasts and what is hard ends quickly, and at other times, it’s the reverse. I have learned that, while we can be concerned and plan for the future and we might carry the scars from our past, we shouldn’t allow these concerns to overshadow the fact that we live in the present. This moment is really all that we have, so make the best of the present moment and don’t miss out. Embrace the inner work. Learn to feel the feelings and embrace all of your emotions fully, without labeling them, and work on expressing them authentically to yourself. One thing to remember is that change is often a stressor. 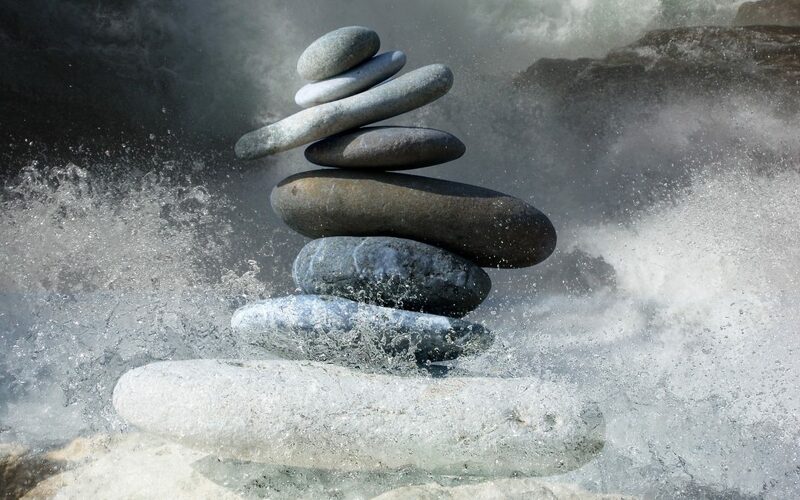 If you have experienced major changes in your life ~ such as losing a job or relationship, moving to a new place, or entering a new phase of life like retirement, marriage, menopause, illness, “the empty nest” or deaths of loved ones ~ stress is a near certainty and quite normal. Change can make you feel like you are adrift on a great, twisting river, being bounced around by the currents. Just relax and go with it. Trust that you are strong enough not to get dragged down by the current. Start by saying to yourself, “Change is here and I know more is coming… now what? What can I learn from this change? What qualities and strengths can I draw from this? 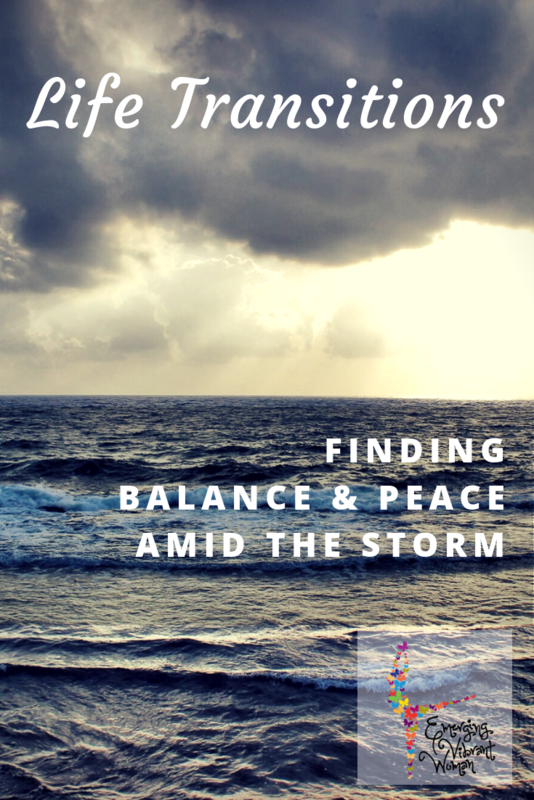 To help you even more, I’d like to share 6 Tips that will help you maintain balance and peace through life’s transitions. Please complete the form below to download your PDF copy now! As my family navigates this transition, I’m coaching myself like I coach other wonderful women. Every time we go through a challenging life transition, it’s an opportunity to learn new skills, develop new tools, and grow. 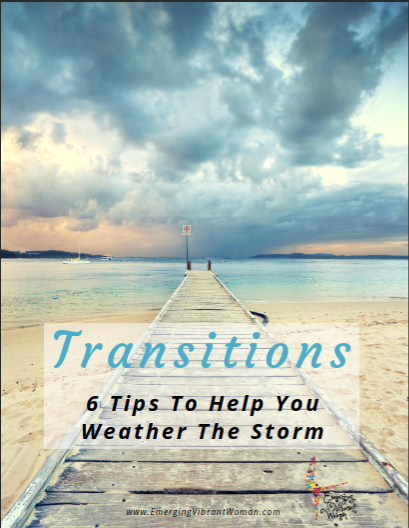 Imagine how much better we will be at handling the next transition life throws at us!